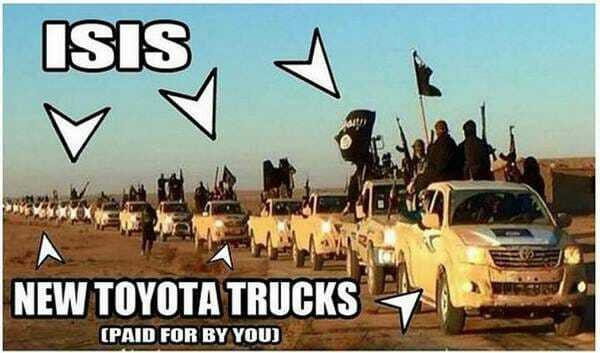 Since around that time ISIS has paraded around the Caliphate in their brand new Toyota Hilux trucks. 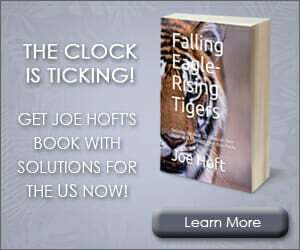 The Hilux, a pickup truck Toyota has built since the late 1960s, isn’t available in the US, but it’s popular around the globe, including with insurgent groups such as the Taliban, al-Qaeda, Boko Haram, and now ISIS. In April the US State Department resumed sending non-lethal aid to Syrian rebels recently and the delivery included 43 Toyota trucks. Now ISIS is using the trucks.